The word is progress. The word limit is 100. 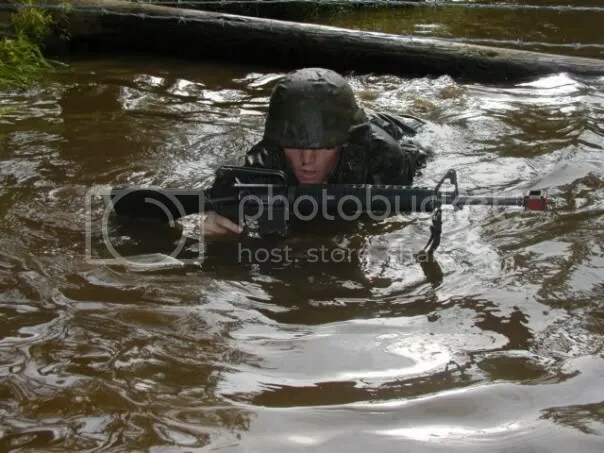 The two marines were traversing a deep swamp within eyesight of the enemy line on the other side. Their progress was slow and they were faced with water snakes and undergrowth which tangled around their legs and gear. Sawyer and Blade were about twenty feet apart, each trying to keep just their eyes above the water level. Occasionally, cranes took off or landed, startling them. Suddenly, all of the birds in the swamp and jungle beyond took off. Looking at each other, Sawyer reached out and plucked a lone lilly from the surface of the swamp. Get submerged in the M3Blog Flash Fiction Challenge!